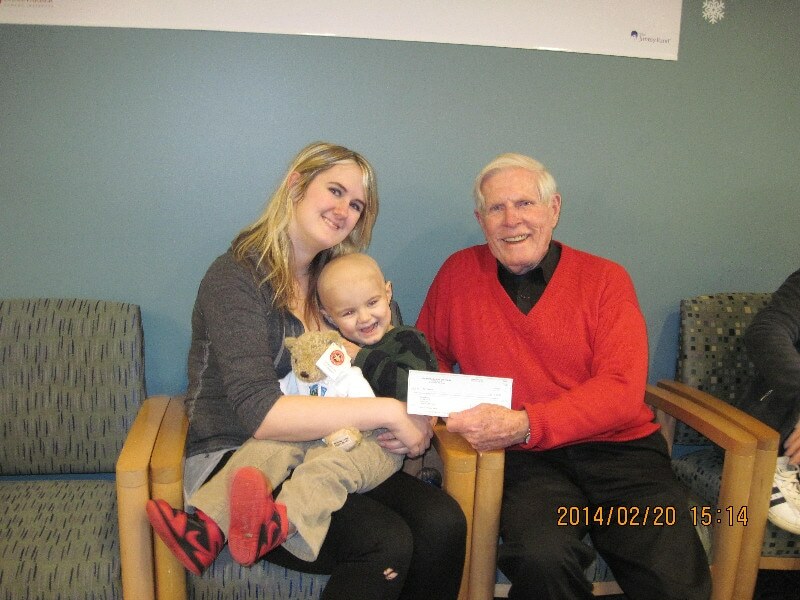 On Thursday, February, 20, 2014, Cops For Kids With Cancer went to Children’s Hospital and gave a $5,000.00 to the family of Matthieu Menard, a 2 year old boy from Haverhill, who has B-cell A.L.L. Leukemia. In photo left to right, Mother Morgan, Matthieu, and Bob Faherty.